I would describe the past few days in three words; technical difficulties, galore! On Monday, before an interview for a major internship, the wireless card on my laptop died after four solid years. Three days later, I realize that my debit card has disappeared. After a feeble attempt to utilize my credit card to fill my empty stomach late at night, my funds are declined. These events are in stark contrast to the smooth sailing and internal ardor that has characterized my life in the past month or so. Inevitable? Yes, life is full of ups and downs. Yet, some might say that as an astrologer, I should have known! Mercury ☿ is retrograde in Pisces ♓. Simply put, a planet is described as retrograde when it appears to be moving backwards through the zodiac. However, are planetary retrograde cycles such as Mercury retrograde the root of chaos and disorder? I have certainly observed a number of intriguing events that have occurred under the influence of planetary retrograde cycles. It is also important to note that planets do not ever move backwards. However, in astrology they appear to reverse motion when viewed from earth. The effect is similar to observing two cars traveling at different speeds on a freeway. The slower car will appear to be moving backwards despite actually continually moving forward when viewed from the window of the faster vehicle. 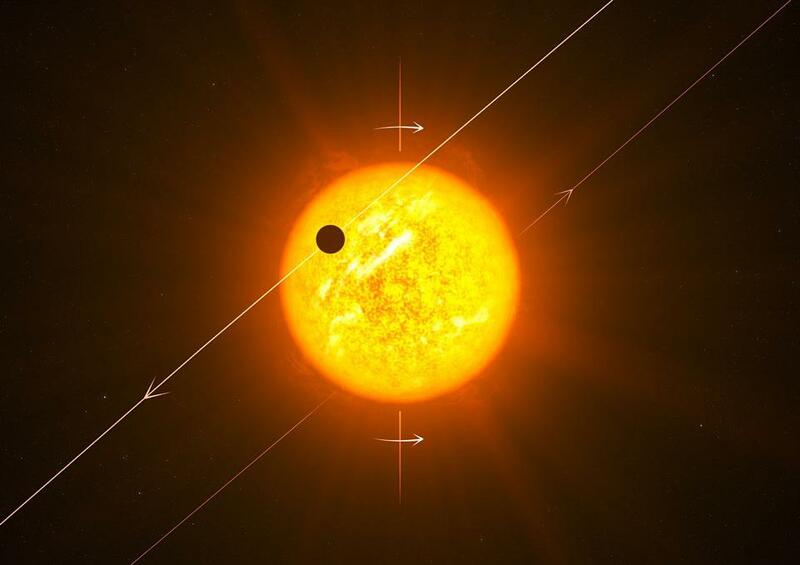 Before a planet appears to change directions it performs what is known as a station where the observed planet seems to be at a standstill in the sky. The days in which a planet preparing to turn direct stations are considered to be days where the retrograde energy of the planet is strongest and there seems to be a bit of truth in this based on my observations. Take 2011 for example when COOG Radio, The University of Houston’s first student run radio station, was aiming to launch on August 1st right before Mercury stationed to turn retrograde for about three weeks. As a radio station, COOG Radio naturally falls within the jurisdiction of communication oriented Mercury. Interestingly enough, the station did not launch on August 1st, rather on August 29, 2011 immediately after Mercury’s retrograde period ended! Also, shortly after Mars went retrograde in Virgo around the beginning of this year, the touch screen on my phone decided to give out after almost two years. As you can see, an important theme of retrograde cycles seems to be that “expect the unexpected”. I wouldn’t expect too many things to go as planned and it does seem that one can benefit greatly from applying caution in certain instances. 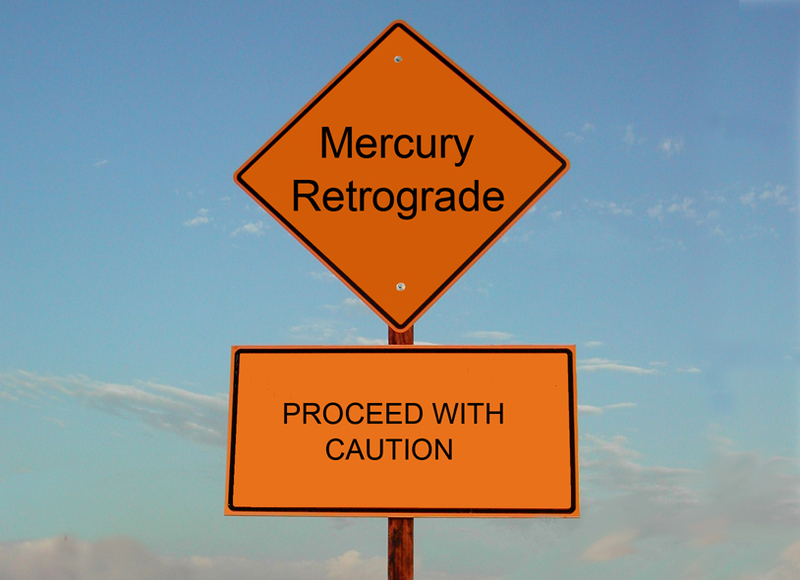 During Mercury retrograde it’s a great time to tune up your car, backup files, double-check facts, or cross your T’s and dot your I’s in general. In general, days with an abundance of retrograde energy may not be optimal for purchasing expensive technical equipment, or scheduling major life or communication related events like marriage. Amusingly enough, the infamous Kim Kardashian married Kris Humphries on August 20, 2011 when Mercury was retrograde in romantic Leo ♌. They divorced after just 72 days of marriage. Theme of the event: What were they thinking? Will you be cursed if you plan to go ahead defy the odds on retrograde dates? Most likely not. Remember that astrology is not fatalistic, but a wonderful tool for examining cycles and tendencies. Even the most seasoned astrologer cannot consistently and accurately predict anything. Don’t get me wrong, I’m not saying to put your life on hold when planets are traveling retrograde as this happens very often. Currently, Mercury, Mars, and Saturn are all traveling retrograde while Venus and Pluto will soon exchange places with Mercury and Mars over the next few months. In addition, some people born under the influence of retrograde planets have reported being unaffected by such periods. In my opinion, the tendencies of a retrograde cycle are dependent upon the specific planet’s location in the sky and the aspects it forms to other planets during its cycle. So if you have felt like the world is out to get you recently or like nothing is going as planned, don’t worry too much about it! Mercury retrograde ends by the end of the first week of April and Mars will turn direct shortly thereafter the next week. Hooray!